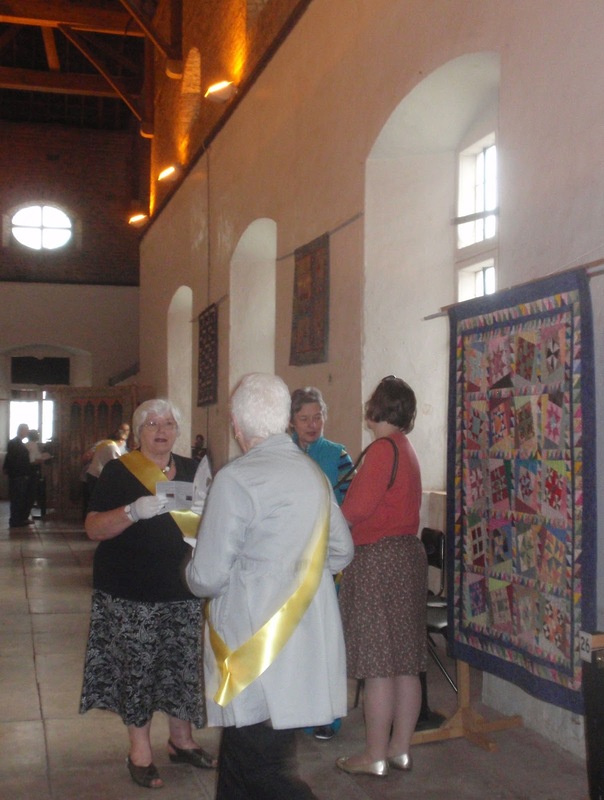 Busy Bees Patchwork: More news from the Exhibition. More news from the Exhibition. I'm not one to write comments in visitors books when I go to exhibitions, but I think that is going to change, as the lovely entries we have had in our visitors book has been a real joy to read. You can see how much people appreciate all the effort that we all have put into the exhibition. Yesterday we had around 300 people visiting the exhibition. So far 68 people have written a comment. I would like to share with you a few of the lovely things people have said. Avril from Newport wrote, "Fantastic quilts that demonstrate the huge amount of talent in and around Wales. Well done". Liz from Cwmbran "Stunning exhibition!" Joy from Hampshire " Beautiful and inspiring". Clare from Cardiff "Very enjoyable and such variety!" Arthur from Newport "Well worth a visit"
Gill from Herefordshire " Wonderful display - expertly hung! Pleased I came"
The exhibition, Material Girls is at the Stable Buildings, Tredegar House until Friday 10th August from 11.30 to 4pm. Do try and come along.